Kiera Grace gears 20 inch bronze finish decorative wall clock has evolved from merely being functional timepiece devices to wall dicor products with a secondary time keeping function. Strict quality control at production: we check all the movements individually to make sure they function properly at the factory before assembling clocks. Running low on time for that home improvement project? Get inspired with this fun, functional wall clock. Perfect for your workshop or garage, it features a swinging pendulum in the shape of a tape measure. Requires 2-AA batteries (not included). The 445706 is a 9 in. x 12 in. desktop/wall-mount alarm clock with 5 languages. Features a large digit display. Calendar displays day, date and month. Measures Temperature and Humidity and has Min and Max functions. Complete with stand and 2 AA batteries. The 445702 Combines 3 displays for Time, Temperature, and Humidity. Clock displays 12/24 hour time. Max/Min with reset function. Humidity: 10 to 85%. Temp: 14 to 140F or -10 to 60C. Accuracy: 6%RH; 1.8F, 1C. Complete with stand, wall mounting bracket and one AAA battery. Gears 20 Inch. 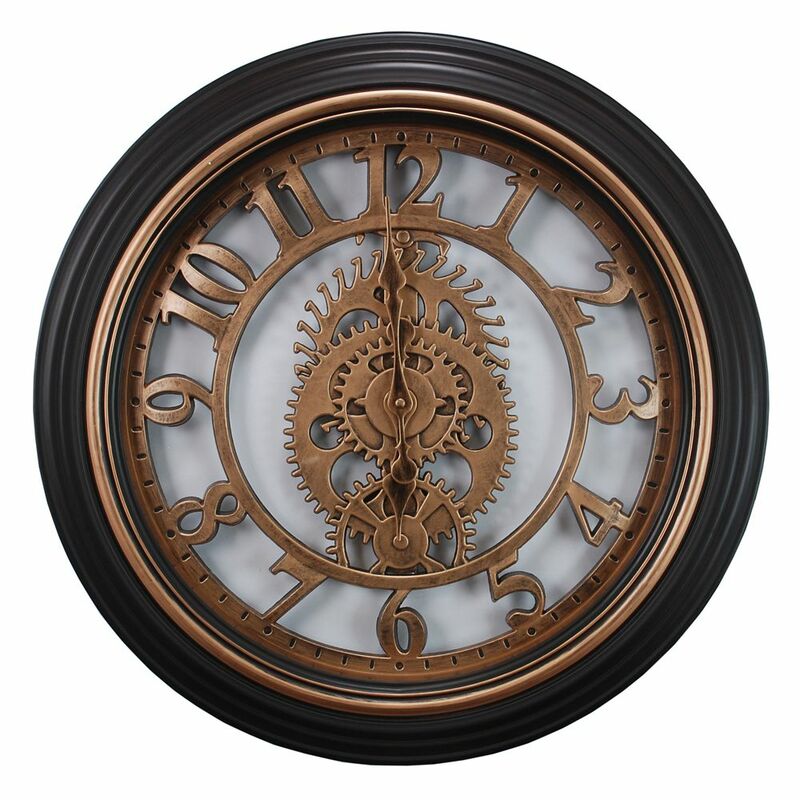 Wall Clock In Bronze Finish Kiera Grace gears 20 inch bronze finish decorative wall clock has evolved from merely being functional timepiece devices to wall dicor products with a secondary time keeping function. Strict quality control at production: we check all the movements individually to make sure they function properly at the factory before assembling clocks.